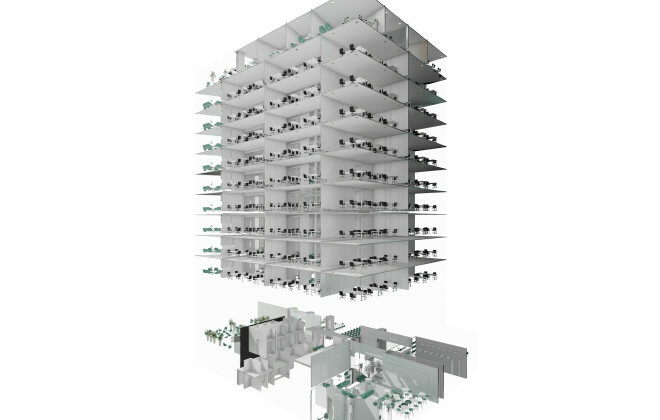 In collaboration with interior design office Form, the interior part of Mustamäe tee 3 office buildings building information model (BIM) is composed. This part consists of interior walls, suspended ceilings, room zones, standard and custom-made furniture, interior doors and glazed curtain walls. 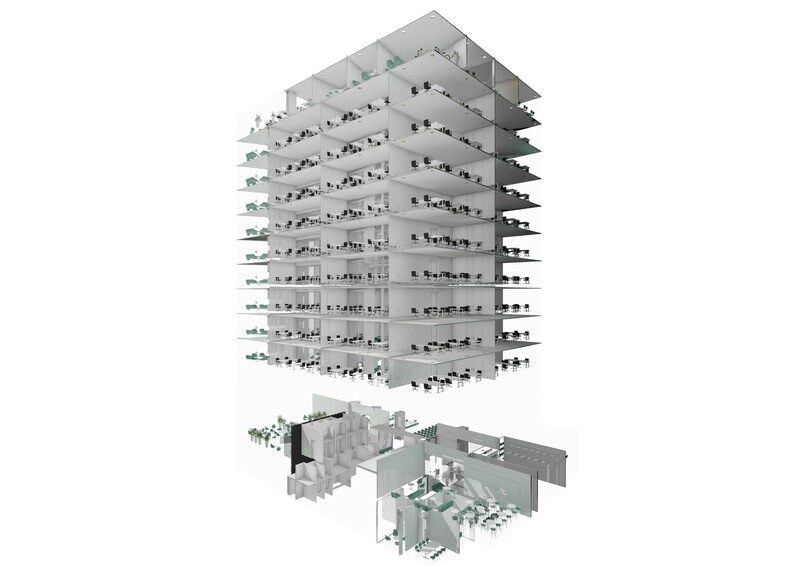 The interior model is closely linked with other components of buildings BIM model. The integration with the whole is carefully checked for any error or conflict in model to prevent actual problems on site in real time.